There are many remedies, supplements, foods and other varying antidotes and therapies over the years of my healing journey that I have experimented with and included in my protocols. As with all things, I am always tweaking and tinkering with my daily routines, based on new discoveries, what my body needs at the time and where I am at in my healing journey. 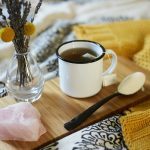 Often I take supplements temporarily for acute symptoms or issues, some supplements I have experimented with and can’t see any remarkable response and of course, like anyone else, there are others that my body has responded negatively to. This is the nature of examining your own health and always exploring new methods of support. Over the years, I have a few protocols and supplements that I have implemented at a time when I needed them and they have actually stuck around for the long haul. They become part of my daily routine. Among them are cod liver oil, turmeric, beef liver capsules, and of course, my daily collagen peptides. Of these, my daily ritual-based supplements, I would say the collagen is one that I noticed the greatest outward benefits from, the quickest and I see major, noticeable differences when I forget to take it. The health of my hair, skin and nails are the most notable. 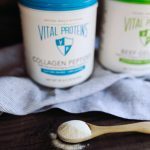 I have already told you about the many benefits of collagen in a previous post, but since then Vital Proteins has introduced quite a few new products featuring their incredible, well-sourced collagen. 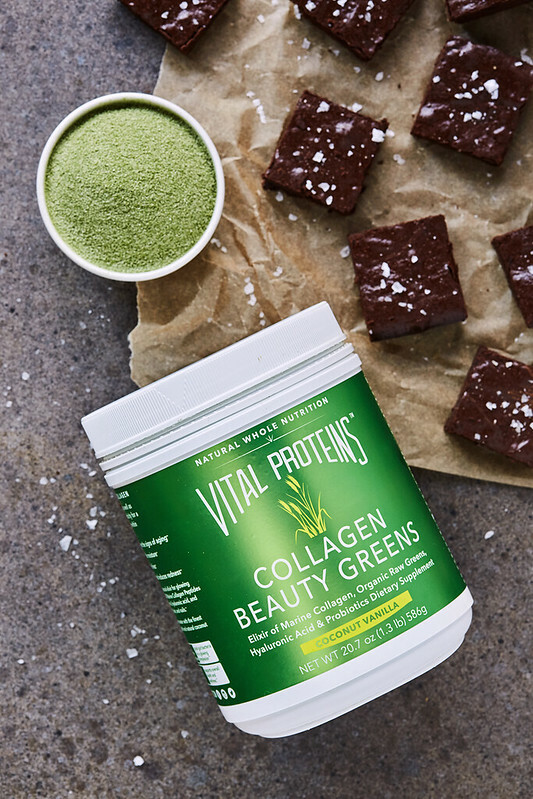 Their Collagen Beauty Greens are one of my personal favorites. Implementing the non-gmo marine form of collagen peptides (rather than sourced from grass-fed bovine), the Collagen Beauty Greens, like their regular collagen peptides, promotes healthy skin, hair, nails, bones and joints, as well as benefitting your gut health. Collagen helps with skin’s firmness and elasticity, it improve’s skin’s smoothness and prevents the signs of aging. In addition, this unique blend also includes hyaluronic acid which promotes collagen formation within the body and aids in the hydration of skin. This nourishing natural elixir also features probiotics to improve gut health, which we all know improves the health of our skin and organic healthy greens rich in Vitamin A to deliver beauty and healthy glowing skin that starts from the inside out. Finally the blend includes coconut water with the finest Madagascar vanilla beans to bring the most delightful refreshing, smooth flavor. 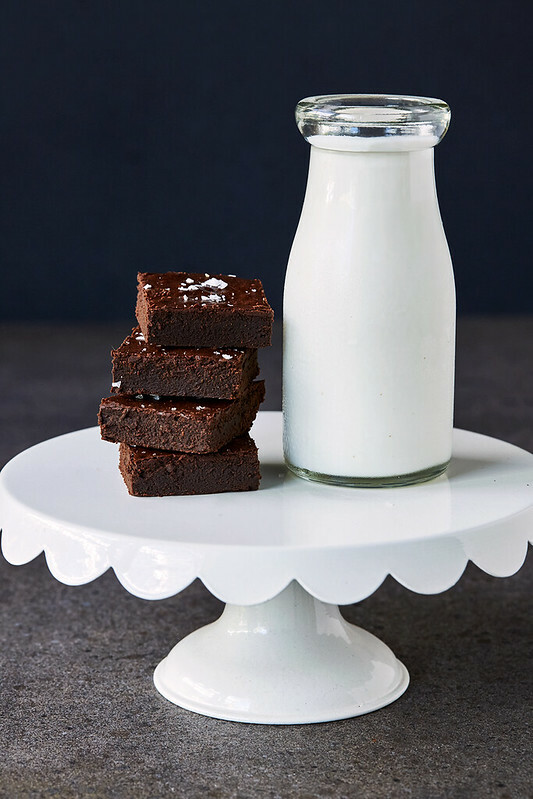 Generally I enjoy the Vital Proteins’ Collagen Beauty Greens in a smoothie or just stirred into an ice cold glass of water, but I also have been enjoying boosting other foods with it, like these flourless, fudgy, rich brownies. Obviously, the heat of baking reduces some of the raw benefits of the various nutrients, but we are still boosting your usual dessert with a little something extra. That obviously would never be a bad thing. And as my husband says, whenever he reaches for his third and fourth brownie, “don’t worry Beth, I am just eating my greens”. 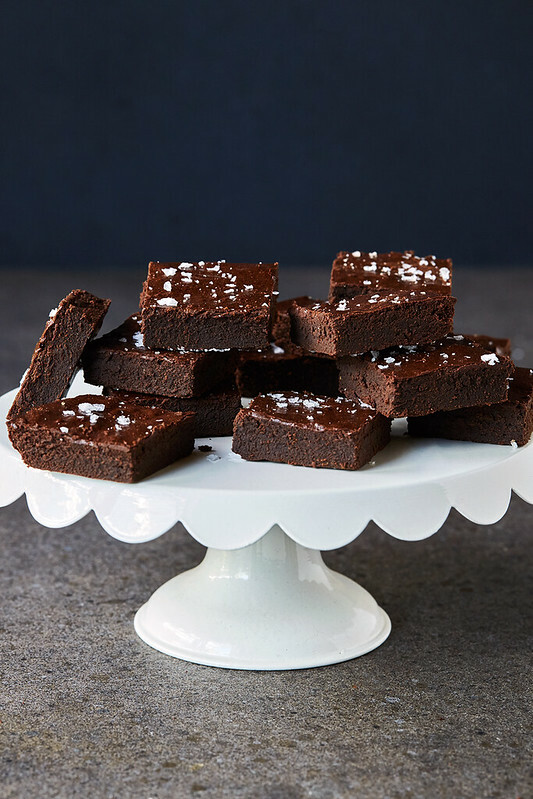 These brownies are easy to make, they don’t require a bunch of different flours and with a high-quality, dark chocolate you wouldn’t believe the incredible, fudge-like taste. 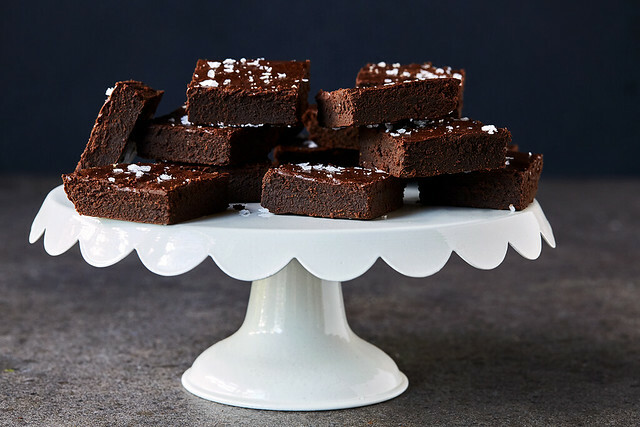 I love storing these in the fridge for maximum rich, moist, fudge-factor! Preheat oven to 350ºF and line an 8x8-inch baking pan with two crossing sheets of parchment paper, leaving a few inches of overhang on the sides to allow for easy removal. Lighting grease the parchment with just a little coconut oil. Add coconut oil and chocolate to a small bowl over a saucepan or in a double boiler set over low heat. Or in 30 second increments in the microwave. Stir frequently until the coconut oil and chocolate have melted, remove from the heat and setting aside to cool slightly. Using a handheld mixer or a stand mixer fitted with the whisk attachment, beat together eggs, coconut sugar, and vanilla extract until smooth and pale, about 2 minutes. Add melted chocolate mixture and mix until well combined. Reduce speed to low and add cacao powder, arrowroot powder, Vital Proteins Collagen Beauty Greens, and salt, mixing until well combined, scraping down the sides of the bowl as necessary. Batter should be thick and smooth. Pour batter into prepared pan, spreading it evenly with a greased spatula. Bake for 25-30 minutes, until the center is set. Remove from oven and let cool in pan for about 15 minutes before removing and transferring to a wire rack to cool completely. 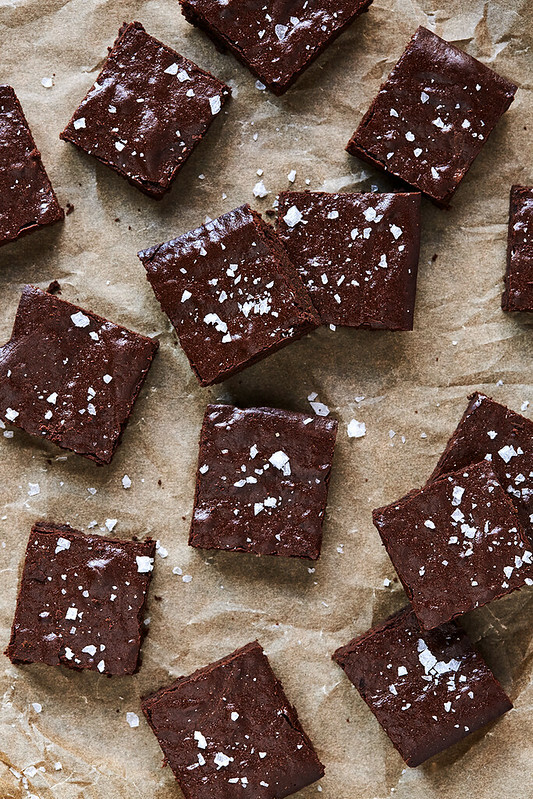 Cut into squares, sprinkle with large flaked sea salt, if you'd like and serve. 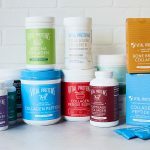 the Beauty Greens can be replaced with regular collagen peptides or you can also experiment with using other protein powders, which I have not done, myself. Yum, I am going to order these beauty greens. For now, can I use the vital proteins collagen peptides in this recipe instead? That would probably work just fine, great idea. Just note, I haven’t yet tried it myself, so I cannot say “yes” with 100% certainty, of course 😉 If you try it, please report back and let me know. Thank you. These were amazing! I used 1/4 cup collagen peptides because I already had that. The brownies were so fudgy and delicious. They even had that crinkly top that “box” brownies get. 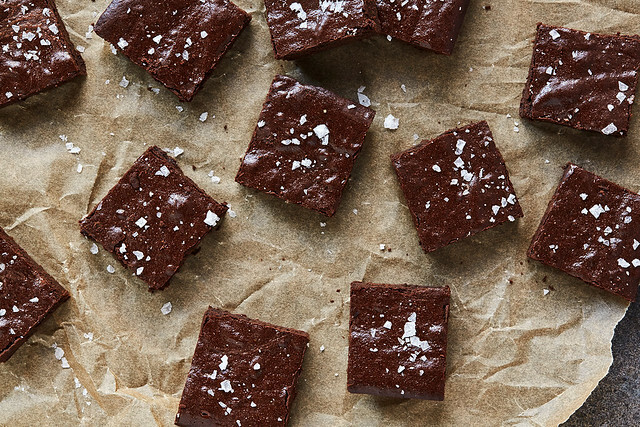 This is my new go-to brownie recipe. Soooo good! YAY!! I am so glad they turned out so good for you!! That’s great. Thanks for sharing. Im going to try it with the Collagen Peptides, too. I’ll let you know how it turns out! Awesome I think it will turn out great! Please do let me know how it goes for you. Mmmmm!! 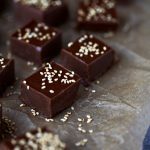 So I had to adapt your recipe a little bit to comply with my body and wanted to share my results with you! I am allergic to spinach and also on a rotation diet, so Vital Beauty Greens isn’t something I can benefit from at this time. (Side note: checked it out and made a note for the future, holy packed with goodness.) I replaced the Beauty Greens with bulletproof collagen, used butter in place of coconut oil, and maple sugar in place of coconut sugar. (Gotta save my coconut for another rotation day ha!). Seriously SO delicious. A little crunchy on the outside, flakey salt, not too sweet. Collagen in the brownies was a genius idea! Although I’m not surprised coming from you 🙂 Thanks for another great one.